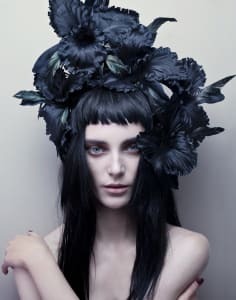 Jessica Broas is an American born, London based milliner. Jessica studied Fine Art at Rhode Island School of Design in the States and Goldsmiths College in the UK. Her artwork has been shown around the world in numerous group and solo shows. Jessica's interest in couture millinery was fostered by Rose Cory and later Piers Atkinson who has helped her understand how to harness ones creative influences and artistic vision into a wearable hat. She has her own label which has been featured in Vogue, Harper's Bazaar, Dazed, Elle and Brides Magazine. Her hats have graced the heads of Helena Bonham Carter, Kiera Knightly and Arizona Muse. Jessica currently teaches Millinery at London College of Fashion and does workshops in Walthamstow. I was very excited to learn more about this traditional technique. 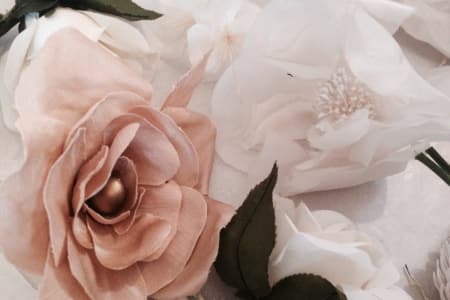 Making handmade flowers is definitely a labour of love. The tutor was very lovely and knowledgeable and I really loved learning how to dye and shape the petals using different flower making tools. I managed to make a silk rose!